A first occurred this week while holding a Secret Church conference. 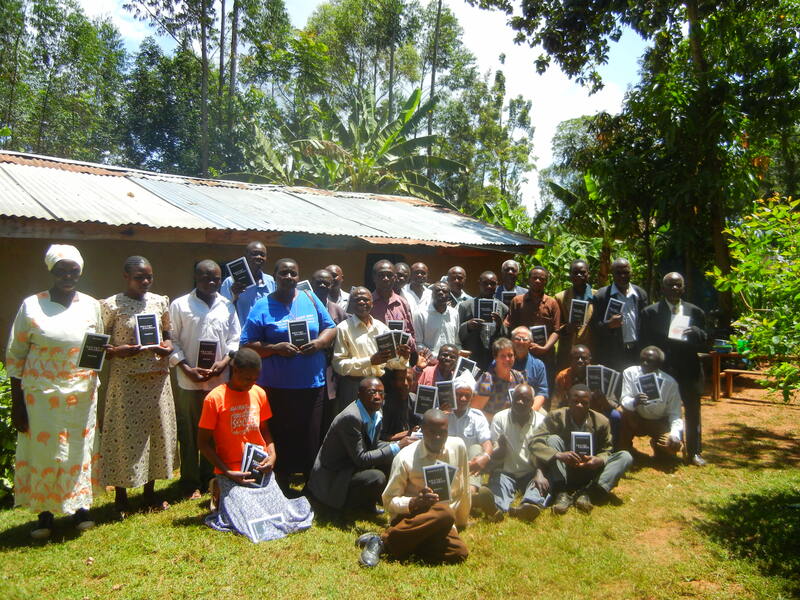 A vehicle pulled into the churchyard and into the church walked 2 American missionaries from Kentucky who are also serving full-time in Kenya. 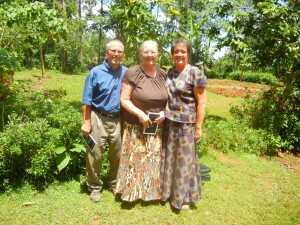 These are my new missionary friends, Sheri and Greg Howard. 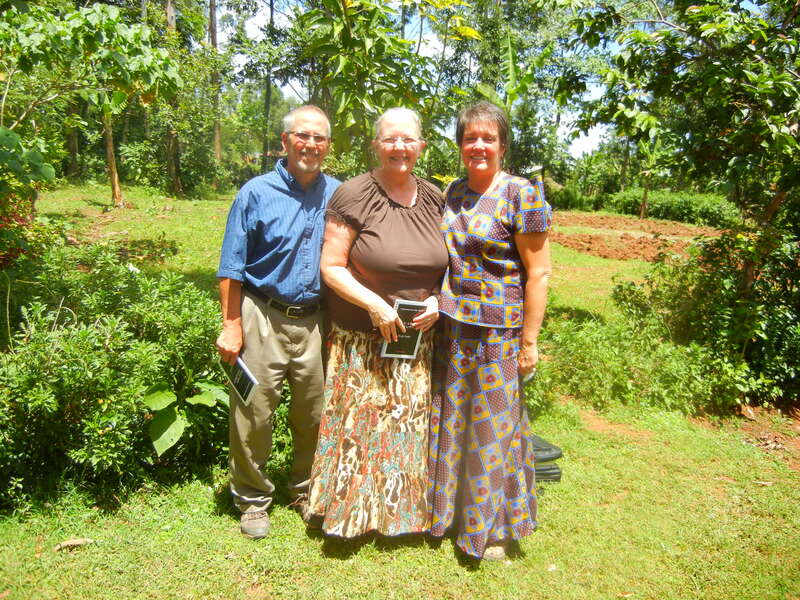 Sweet new missionary friends…Sheri and Greg Howard….. It was great to discover their awareness of Dr. Platt’s teachings, as his book Radical had been instrumental in their own journey coming to the mission field. What a joy to watch them experience Secret Church…. bush style! It’s hard to express the deep joy that came with the time God gave us to share. Not only in the Secret Church teachings, but also sharing our journey of walking with the Lord here in Africa. On Monday as I headed out for this weeks conference I was blessed to receive in the mail a wonderful package from my good friend Deb Brewer from my church back home. She has been such a blessing to me as I’ve served over the years. She sent lots of Answers in Genesis material to help here. Pastor Tom was so excited when we unpacked the box! 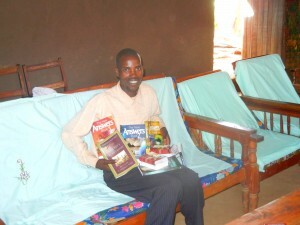 He will be using part of the material in the orphan school he oversees and the other materials will help the pastors. Because I had picked up this package on our way out on Monday, I had it with me during this weeks conference. Gods timing is always so good as I was able to share some of the material with my new friends Sheri and Greg. Not only share materials they can use in the areas they serve, but also share the good edible yummies Deb packed along with the material. I’ve been in the states since the Howards have. I know what its like to be gone for so long and not have a lot that taste good as things back home do, so I wanted to share. What was really sweet was, when I handed them the bag with the materials and yummies, they in turn handed me a bag. Sheri had prepared me a bag with yummies they were sharing that had been left for them with a recent team visiting. Not just goodies from the states, but more importantly home made no bake cookies that Sheri had found the ingredients to make here! 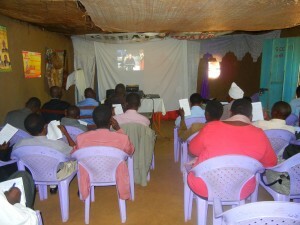 The conference was very good….the church was packed daily and we ran out of Secret Church study guides. 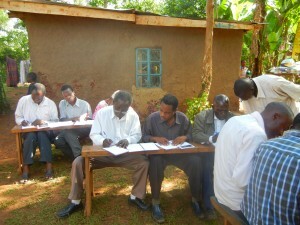 In the last 3 weeks of conferences I have surveyed the pastors who attended our conference last year. The survey questions were questions to help me gather information on how well the material is being received. More importantly, if the material is being used after the conferences as it is intended to be used. 21 pastors over the last 3 weeks are returning pastors. Those 21 pastors have used their Secret Church materials from last year to disciple 427 Christians. From the information the pastors have gathered, out of the 427 newly disciple believers, have come another 86 more whom these disciples discipled. We were first in these areas in September of last year. So, in the last 5 months there are 513 newly discipled believers that we know of. There are another 60 to 70 pastors from this area of Kenya who attended last year but were not able to travel to attend this year due to the locations being further away. I can only imagine what the real number of newly discipled believers would be if we had information from all who attended. 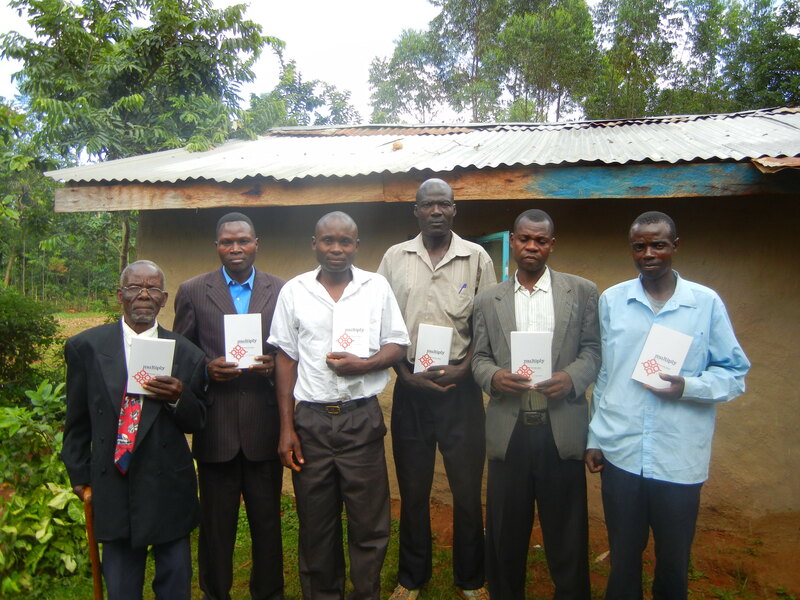 Now that we are blessed to also deliver the new Multiply books to the church leaders, we know that in the months and years ahead, this tool along with the Secret Church materials will advance the kingdom of God in powerful ways. As a matter of prayer, I’d like to ask all of you to be praying for the country of Kenya in the weeks ahead. 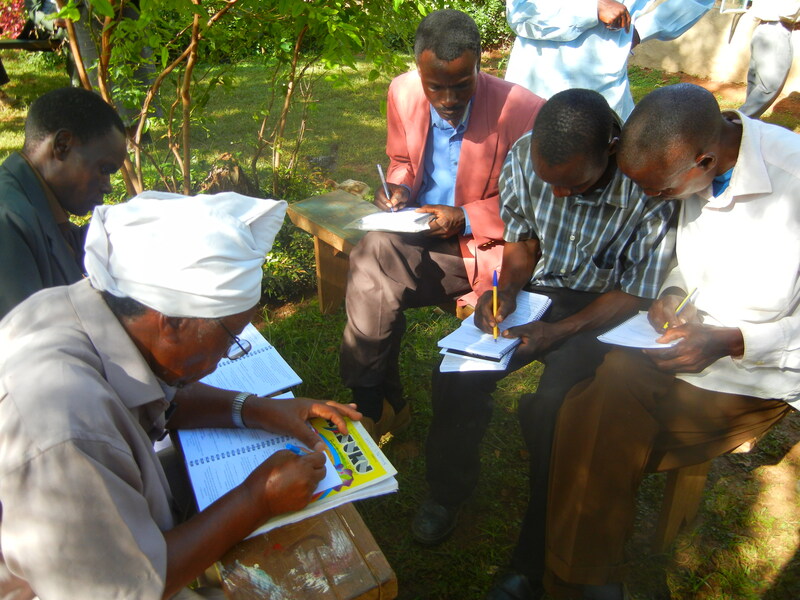 Presidential and general elections are scheduled for March 4th and we are praying for peaceful times. The last elections brought violence and destruction across the country. Even today 4 years later there is evidence of the destruction from that time. Families are still displaced from the violence along with infrastructure damage with roads and various other things. There is a strong Christ centered presence among the people who are truly seeking a peaceful election time. Please join us as we pray with our brothers and sisters in Christ across this nation. The Life and Mission of Joy Breedlove is powered by	WordPress 3.4.2 and delivered to you in 0.210 seconds using 40 queries.